Any information obtained here should not be construed as medical OR legal advice. The decision whether to vaccinate and how you implement that decision is yours and yours alone. 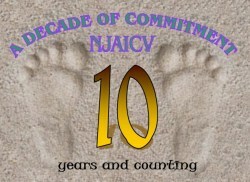 Founded in the spring of 1999, the New Jersey Alliance for Informed Choice in Vaccination consists of volunteer parents and individuals who monitor vaccine legislation in New Jersey focusing on vaccine safety and the right to informed consent. The New Jersey Alliance for Informed Choice in Vaccination (NJ-AICV) is an advocacy group concerned with defending the freedom of all New Jersey citizens to make informed, voluntary, vaccination decisions. Our goal is to protect the right to informed consent through education and awareness.